Whether on the cob or by the kernel, corn is essential summer eating. Ears can be boiled, roasted or grilled, while the kernels can be tossed into salsas and salads, baked into bread or turned into creamy corn pudding. 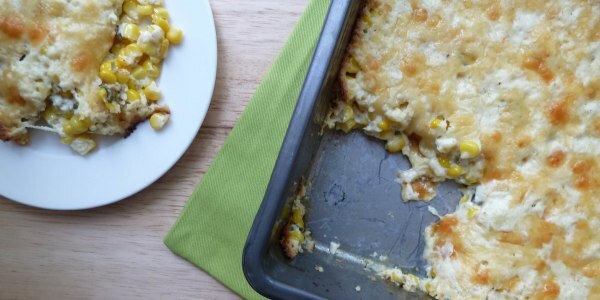 Here’s your guide to shopping for, storing and prepping corn. Pulling back the husks to inspect the kernels—they should be bright, plump and arranged in neat, tightly packed rows—is one way to pick the best corn, but it shortens shelf life and isn’t going to earn you any friends at the farm stand. Instead, gently squeeze the cobs to get a feel for kernel quality and quantity. Look for corn with husks that are bright green and tightly wrapped around the cobs. The silk underneath should be glossy, slightly moist and pale yellow, while the tassels that stick out at the top should be brown and sticky to the touch—dry or black tassels mean the corn is probably old. It’s best to eat corn the day it’s purchased, but ears can be kept loose in the refrigerator for a day or two. Once shucked, store corn loosely in a plastic bag and refrigerate. Wait to shuck corn until just before cooking, so it doesn’t dry out. Pull the husk away and discard it unless you plan to grill the corn, in which case leave it attached at the bottom. To remove any stubborn silk from ears of corn, use a paper towel to rub it off or rinse the cob under cold, running water. There are gadgets made specifically for this task but a small, sharp knife is all you need to cut the kernels off the cob. Hold the knife at a 45-degree angle and slide the blade quickly down the length of the cob from heel to tip. One medium ear of corn should provide about ½ to ¾ cup kernels. In a small bowl, combine ½ stick room temperature unsalted butter with about 2 tablespoons of finely chopped fresh herbs, such as basil, parsley, oregano and thyme; season to taste with salt. Grill or boil 4 ears of corn and serve with the herb butter.